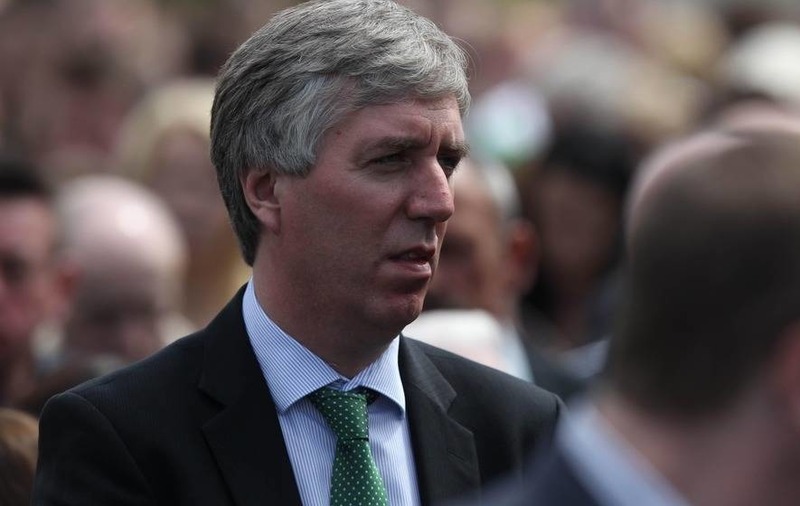 SCOTTISH FOOTBALL ASSOCIATION chief executive Stewart Regan has aimed a thinly-veiled dig at his Football Association of Ireland counterpart John Delaney following the row over a controversial €5million payment from Fifa. The FAI was handed the sum by the world governing body after agreeing to drop legal action over the Thierry Henry handball incident which saw France qualify for the 2010 World Cup in place of Ireland. But Regan insists the Scottish FA would never have threatened to take Fifa to court if it had been on the end of a similar wrong call. Asked for his reaction to the payment revelations, the Hampden boss - who will be in Dublin on Saturday to see the Scots face the Republic of Ireland in a crucial Euro 2016 qualifier - said: "I've always worked on the assumption that, if you haven't got anything positive to say, you keep your mouth shut. "The issue is one for the FAI. It's not one I want to comment on. We're managing our qualification process, we've got a big game against Ireland on Saturday night and I think they will be reflecting long and hard on the events of the last week. "As far as the Scottish FA is concerned, we respect the laws of the game, we respect the rules that govern Uefa and Fifa and, if we qualify, we'll be overjoyed and look forward to trying to do that in France in 2016. "If every team who had a concern over a decision tried to make a claim on the back of it, there would be a queue down the steps from Hampden to Aitkenhead Road. As far as we are concerned, we are going to abide by the rules, the laws of the game and the statutes of Fifa and Uefa and, if we qualify, we'll do it because we've won a match and qualified from our group." This is not the first time that the SFA and FAI bosses have had a difference of opinion. Delaney claimed the decision to hand his country's travelling support just over 3,200 tickets for last November's clash with Scotland at Celtic Park could have sparked crowd trouble if Irish supporters ended up in amongst sections housing home fans. Ireland responded by handing Scotland a similar allocation for this weekend's Aviva Stadium fixture, but Regan has no worries about the Tartan Army's behaviour. He said: "The Scotland fans are some of the best fans in the world. Wherever they go, they find themselves in different parts of the ground, they join in in good humour, they sing and get on - there is never any trouble. "Back in November when we played Ireland, the words 'tension' and 'safety' were used [by Delaney]. That was a bit disappointing at the time and, as we fully expected, there was no issues at Celtic Park. "We've got around 3,500 tickets for the game in Dublin. I'm sure there will be a lot more fans in the stadium than that, I'm sure they will get on perfectly well with their Irish colleagues and I'm sure they'll have a great night." And Regan also downplayed claims by Irish Football Association president Jim Shaw that the power vacuum left by Sepp Blatter's resignation as Fifa chief would put the independent status of Scotland, Wales and the North at risk. The Irish FA boss was quoted saying: "Any change has always got that potential, even if at the moment there is no evidence of a threat." But Regan - who has urged England's David Gill to take up Britain's vice-presidency at Fifa - said: "It's very early days in terms of what has happened with Fifa. "It's literally just over a week and if you think about what has happened in this past week, it is phenomenal to think of all of the changes that have taken place, culminating in Sepp Blatter deciding to resign. "There is a lot of thought to be had over the next few months and discussions to take place - not least about who the candidates are who are going to come forward and potentially replace Sepp Blatter. But also, as a group of British associations there will be time to reflect, consider the role of Fifa's British vice-president and discuss our own strategy going forward. "It's very early to be even considering anything like [a plan to deal with a threat to the independence of football associations]. There is no indication at the moment of any threat to the British nations. "That said, we have to constantly keep that issue in the back of our minds but certainly in my opinion, there is no immediate threat."